Curious about metalsmithing? Interested in designing and making your own jewelry? 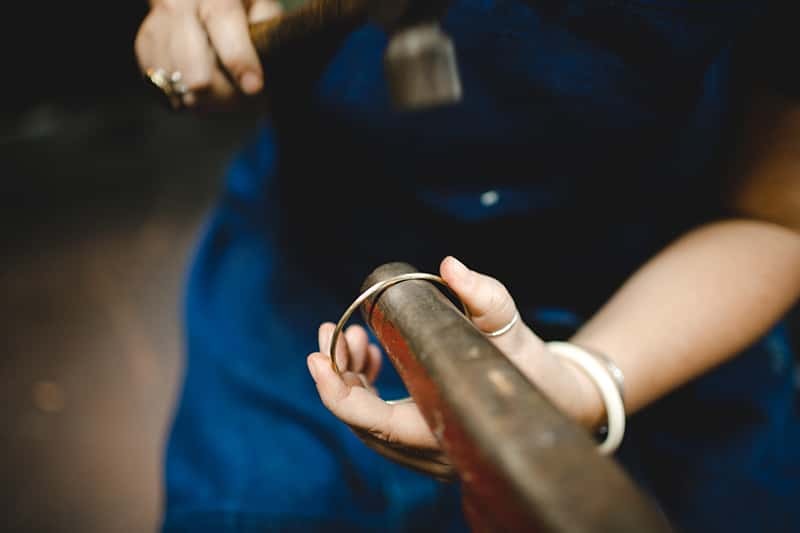 This workshop guides students through basic metalsmithing techniques, design concepts, forming, hammer-texture techniques, punching, stamping, wire wrapping, fusing and basic forging. Sarah will also lead demonstrations on soldering base metals and fusing argentium silver. Students will leave with a set of brass bangle bracelets and 3 stacking brass rings!